Analysts at Goldman Sachs and RBC Capital Markets separately slashed their iPhone sales estimates, citing sluggish demand for the smartphones. The analysts expect Apple to release its latest wave of iPhones in September, meaning the company could soon start curbing its inventory in order to make way for new products. Both firms reduced their price targets and earnings forecasts. You can watch Apple’s stock move in real time here. Forecasts for Apple‘s iPhone sales have gotten the axe. After the smartphone pioneer experienced sluggish sales growth in the last quarter, Wall Street analysts believe the trend will likely continue, calling it the end of an era for the iPhone. Analysts at Goldman Sachs and RBC Capital Markets told clients in separate notes on Wednesday that they were slashing their estimates of iPhone units sold on the view that the devices will experience lower demand and lower average selling prices in the future. Goldman Sachs analyst Rod Hall said in a note to clients on Wednesday that the bank would reduce its iPhone sales estimates by 1.7 million units to 53 million units for the quarter ending in March, and its estimates for the quarter ending in June by 3.2 million units to 40.3 million units. Moreover, the investment bank has also slashed its iPhone sales forecast for FY19 to 224 million units, down 4% from its initial estimate, and to 223 million units in FY20, down 1.8% from its previous estimate. “We also are trimming our replacement rate expectations looking forward in response to what has been weak replacement consumer behaviour this cycle,” Hall wrote. The anticipated iPhone “supercycle” has slowed as a wave of new customers and existing iPhone owners looking to upgrade to a new device did not materialise for the newest iPhones last quarter. The slowdown in iPhone sales has primarily been from weaker demand in China – a large market where there is a prevailing view that the highly-lauded iPhone X is smaller than other models – as well as consumers sticking with older iPhone models longer rather than upgrading. The latest iPhone’s expensive price point is also a big issue, noted Amit Daryanani of RBC, and lowering the price could be the only way Apple can keep iPhone demand high. According to Daryanani, the company’s lower-end iPhone 8 and iPhone 8 Plus, which have LCD screens instead of the iPhone X’s more expensive OLED screen, have had more “stable” traction with consumers. However, this suggests the company will see lower average selling prices (ASP) for its iPhones, particularly if it decides to cut prices with the new generation. Daryanani says he is lowering his ASP expectations to reflect “incremental demand from the LCD models” compared to the more costly iPhone X, though he did not give exact figures. Goldman also lowered its ASP estimate for June by 2.3%. Apple is also expected to announce its new lineup of iPhones and other devices in September, which could mean the company will begin phasing out its inventory to make way for the new products. 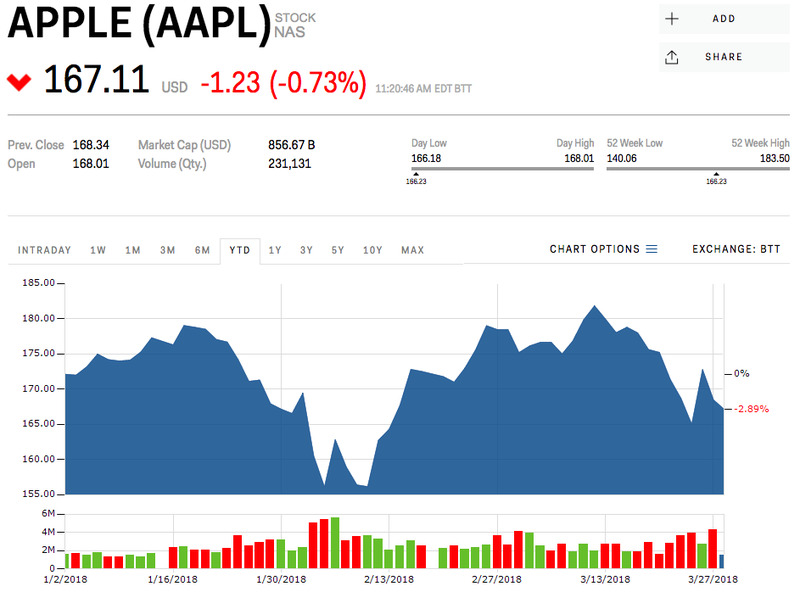 “We are modestly reducing our iPhone unit expectations for March-qtr and beyond to reflect our expectation that AAPL may work to curtail its iPhone channel inventory aggressively ahead of the fall 2018 product launches, especially as we think AAPL will launch all its devices this September,” Daryanani wrote. Daryanani slightly lowered his price target to $US203 per share from $US205. Goldman’s Hall was more bearish, reducing his price target to $US159 per share from $US161. 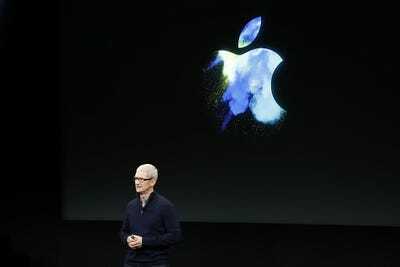 Apple’s stock was trading at $US167.29 per share on Wednesday. It was down 2.89% for the year. Read more about why Apple will stand out above the fray when it comes to privacy concerns.